Tokyo Rebel: New items from 3 different brands! This will be a quickie update - we're working right now to get all of our reserve orders shipped out! But we do want to tell you guys about any new items we receive as soon as we can. Yesterday we received items from both Baby, the Stars Shine Bright and Alice and the Pirates, including the "Treasure hunt and the mystic island" series and the "Twinkle constellation and the stars of confeito" series! These were both very popular series for us and many items did sell out on reserve, but we do still have various items in our store. In addition, we've restocked Usakumya bags and Mini Fairy Tale pochettes! Here's a list of items we still have - get 'em while you can! 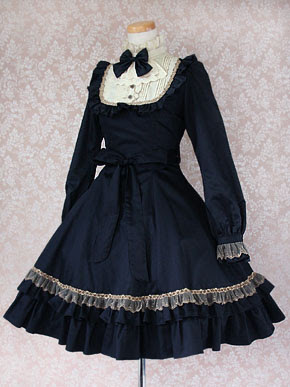 In addition, we also received a few new items for our store from Victorian maiden, including their most popular dress, the Classical Doll Dress! We have this dress in both navy and cinnamon. 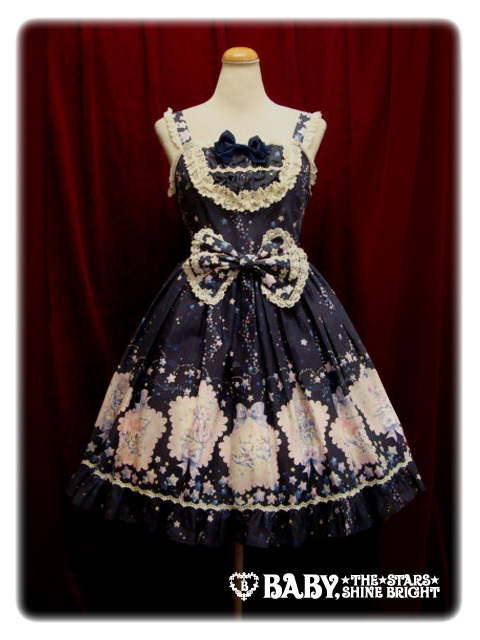 We also received a Flower Tulle Rococo Dress in Rococo Blue - this dress is notable as it's one of the few dresses Victorian maiden has ever made with full back shirring! 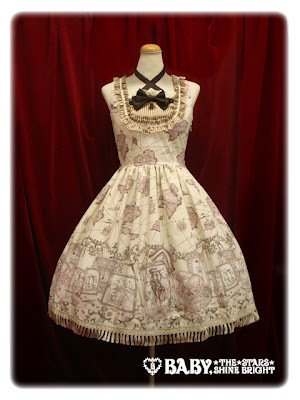 We're expecting more from Victorian maiden soon - we'll be stocking up on their merchandise little by little. But as always, you can reserve any of their new products from us - we'll have a new round of items up from them shortly! We hope to have all of the in-stock items from all of these brands up on our web site within the next few days, so keep checking back!